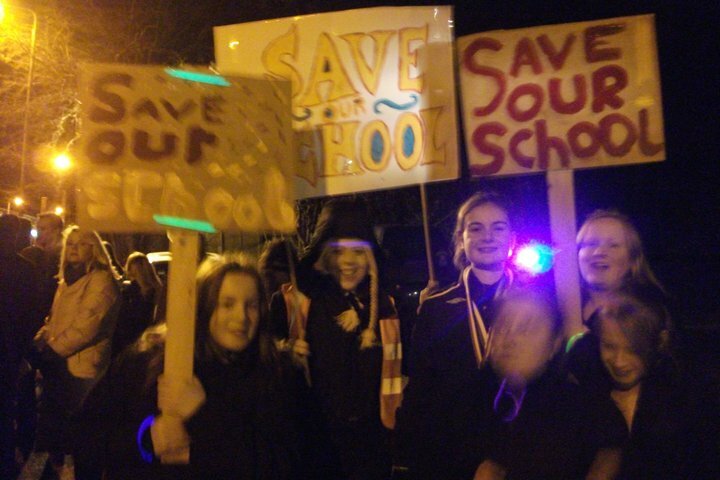 The Gedling school protest went ahead as planned on Thursday. The campaign began when Nottinghamshire council officers indicated they were minded to recommend the closure of Gedling School, with a decision to be taken by the council’s cabinet members on December 15. This entry was posted in Events & meetings, Road to success. Bookmark the permalink.